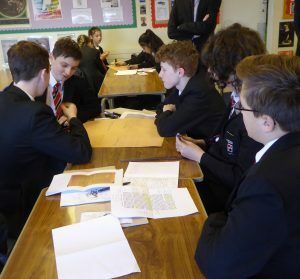 The ‘Lancashire to Mesopotamia’ project involved four schools where eight teachers worked with a total of 74 Year 9 students. Year 9 is when the History curriculum covers the First World War but this is normally focussed on the Western Front. However there are opportunities for local history work and for skills development in historical enquiry, so three of the schools were able to carry out the project in class time, while the fourth worked in a lunchtime club. Schools are obviously familiar with the assessment of learning so it was possible to evaluate the impact of the project in a professional manner, with teachers and students identifying skills and knowledge they had picked up. The feedback below comes from the evaluation report written by the project leader. I want to say a huge thank you for all the support you have given us with this project. You have gone above and beyond! Teachers recognised that the project had improved their students’ skills in research and historical enquiry and said they would certainly be more likely to adapt their teaching in the future to include more heritage learning activities. Click here for an evaluation report on the ‘Lancashire to Mesopotamia’ project.